As long as there have been woodwind pads, technicians have trusted Shellac to hold them in place. Many techs use shellac exclusively in their repairs because it offers a firm base on which the pad can rest. However, the difficulties in using stick shellac are well known. Drips, burns, burnt keys and broken shellac sticks are common problems associated with heating shellac over a flame. The Z-Gun (patent pending) takes the hassle out of using shellac to install woodwind pads. 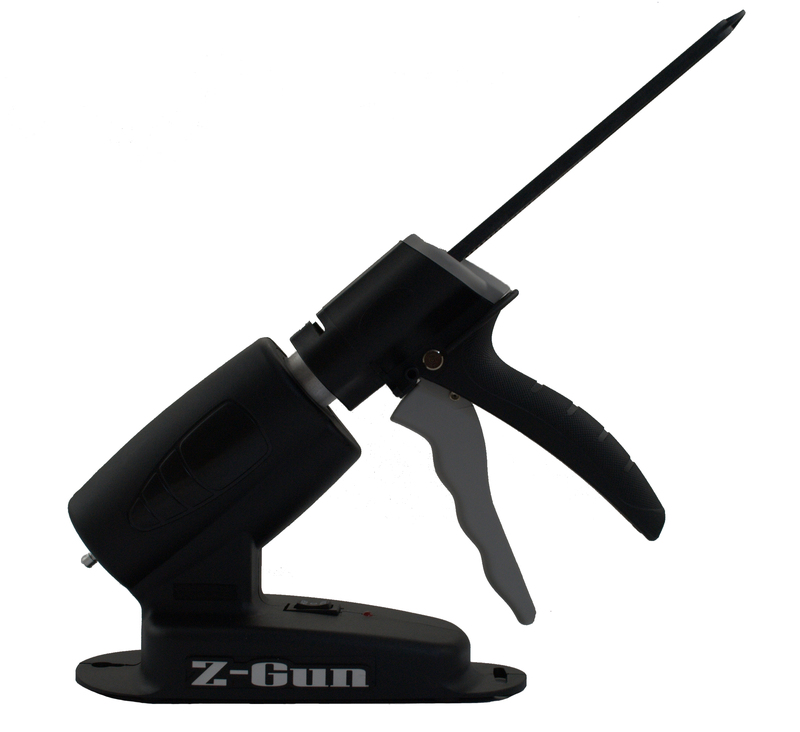 The Z-Gun is a warm shellac dispensing gun designed by Curt at MusicMedic.com. If you are currently heating shellac over an open flame, you will be excited to have this professional yet inexpensive solution to a very old problem. To use the Z-gun, simply put a disposable shellac cartridge in the handle of the gun and put the gun in the base. The heater in the base warms the shellac to a consistent flowing temperature. The base has two temperature settings so you can control the flow rate of the shellac. Remove the gun from the holder and squeeze the trigger. Warm shellac is dispensed on the pad or pad cup. Using this precision dispenser, you can apply shellac without burns, mess or waste. Each aluminum canister comes filled with the equivalent of two sticks of shellac and has a spring loaded ball valve at the tip to prevent drips. It is best to replace the Z-Gun handle along with the plunger if the plunger wears out. This will allow the tool to function like new. The Z-Gun is a 110 volt heating appliance with a US style plug end. Intermational buyers may have to provide voltage converters for proper operation. 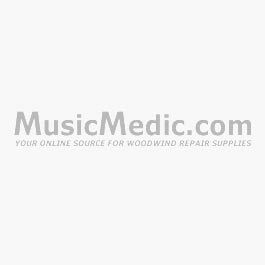 MusicMedic.com has plug adpters available. If you have any questions about the compatibility of the Z-Gun and your country's electrical standard, please contact customer service so we can help you get everything you might need. The Z-Gun (patent pending) takes the hassle out of using shellac to install woodwind pads. Using this precision dispenser, you can apply shellac without burns, mess or waste.The Z-Gun startup kit contains one Z-Gun and six shellac cartridges, and you can choose from amber or clear shellac, or a combo of each.